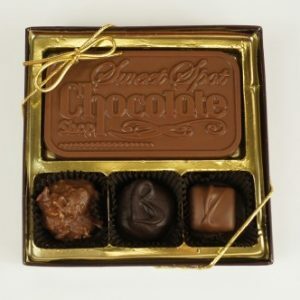 3 Piece Assorted Chocolates with Bar, includes a Caramel, Coconut Cluster, Butter Creme and a Milk Chocolate Bar. Comes in a clear top box with a gold tie. 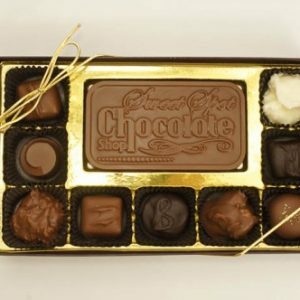 9 Piece Assorted Chocolates with Bar. 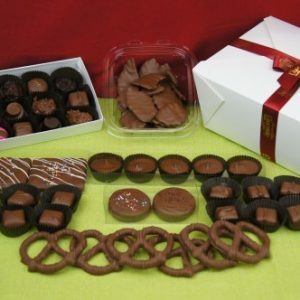 Includes Caramels, Meltaways, Cremes, Clusters and a Milk Chocolate Bar. Comes in a clear top box with a gold tie. 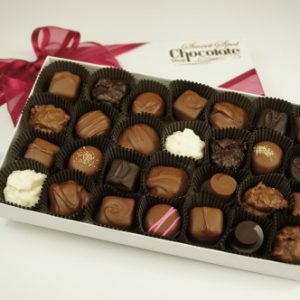 20 Piece Assorted Chocolates with Bar. 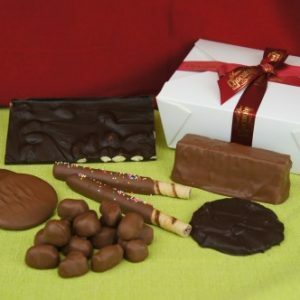 Includes Caramels, Meltaways, Cremes, Clusters and a Milk Chocolate Bar. Comes in a clear top box with a gold tie. 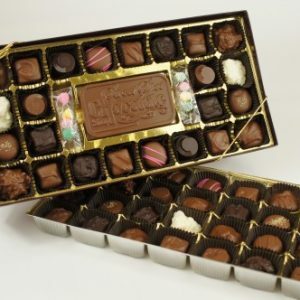 52 Piece Assorted Chocolates with Bar. 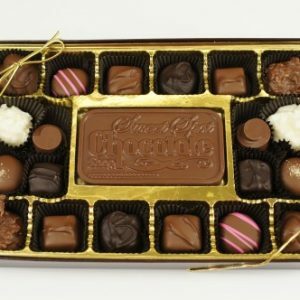 This double layer box includes Caramels, Meltaways, Cremes, Clusters, Mints and a Milk Chocolate Bar. Comes in a clear top box with a gold tie. 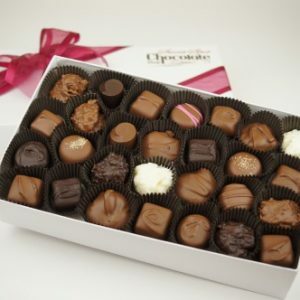 15 Piece Assorted Chocolates, includes Caramels, Meltaways, Clusters, Cremes and Solids. Comes in a white box tied with ribbon. 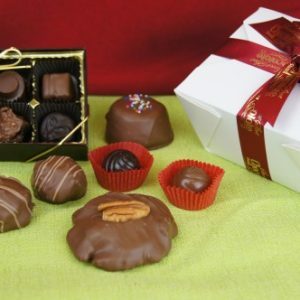 28 Piece Assorted Chocolates, includes Caramels, Meltaways, Clusters, Cremes and Solids. Comes in a white box with a ribbon. 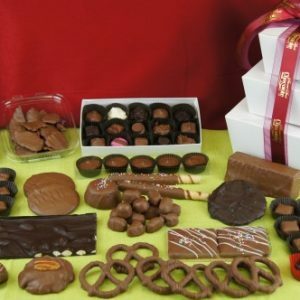 56 Piece Assorted Chocolates, includes Caramels, Meltaways, Clusters, Cremes and Solids. 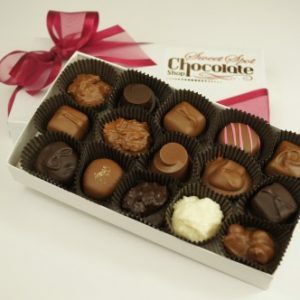 Comes in a double layer white box tied with ribbon. 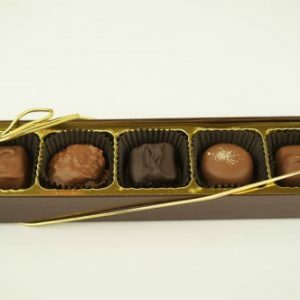 5 Piece Assorted Chocolates that includes Caramels, Peanut Butter Meltaway, Maple Creme and Coconut Cluster. Comes in a clear top box with a gold tie.